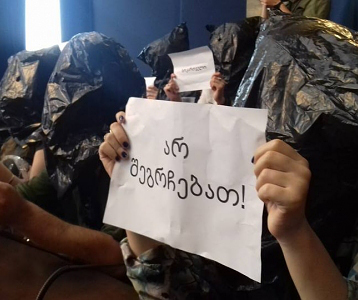 TBILISI, DFWatch–The Georgian Prosecutor General’s Office Thursday evening named the person who allegedly passed on messages from the government to the director of a television company. 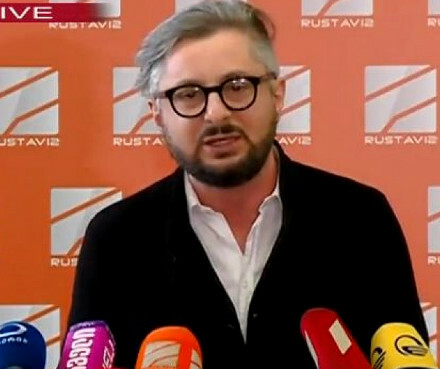 Rustavi 2 director Nika Gvaramia said Wednesday that he met with a person who passed on threats from the government to ‘step aside’, otherwise they would publish video footage of his personal life. He also claimed to have received threats against his family. 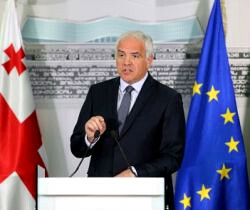 Later, Gvaramia explained that this person is his friend and a friend of the government and in the past, Prime Minister Irakli Garibashvili personally told him at the celebration of the Georgian Dream coalition’s one year in government that this very person would be the one who would inform him of the government’s views. After Gvaramia spoke about being blackmailed, the Prosecutor General’s Office launched an investigation and summoned him to give testimony. The questioning lasted two and a half hours. The Prosecutor General’s Office said the go-between was Alexi Akhvlediani, who was head of the organizing committee for Tbilisi 2015, or European Youth Olympic Festival, which was recently held in the Georgian capital. After being questioned, Gvaramia said that the Prosecutor General’s Office offered him and his family protection by security guards, but he rejected the offer and said he plans to send his family to the United States. “This is like a wolf protecting sheep,” he said, adding that he wants to protect his family from this government. Meanwhile, the court hearing about Rustavi 2 ended without results. The lawsuit will resume Monday morning. Supporters of the TV company spent the entire day outside the studio building, but have now left. 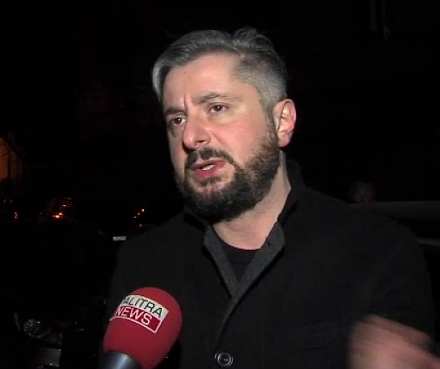 Thursday evening, Akhvlediani appeared at the Prosecutor General’s Office. He told journalists that he met Gvaramia before the Rustavi 2 director’s live televised speech yesterday, but he denied that he was a mediator or messenger for the government. He said he is friends with Gvaramia and never leaves his friends when they are in need. 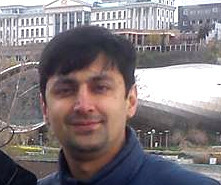 He said he had just returned to Tbilisi from abroad and talked with Gvaramia on the phone. The two agreed to meet the next day. He said he has many questions now and wants to meet Gvaramia again after being questioned. I never thought that georgian governmwnt would close rustavi 2 again. I remember protesting in vake park when I was 16. THat was 22 years ago when Shevardnadze’s gvernment decided to close it but Rustavi made it through only to be closed again by the “democratic” government of Georgia…. more like Georgia’s current slave owners….